if so, click HERE for the details on this week's lineup. 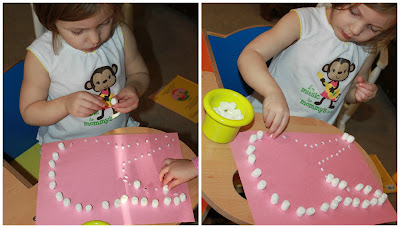 making the dot-to-dot bunny combined both of these things and my girls were in heaven! 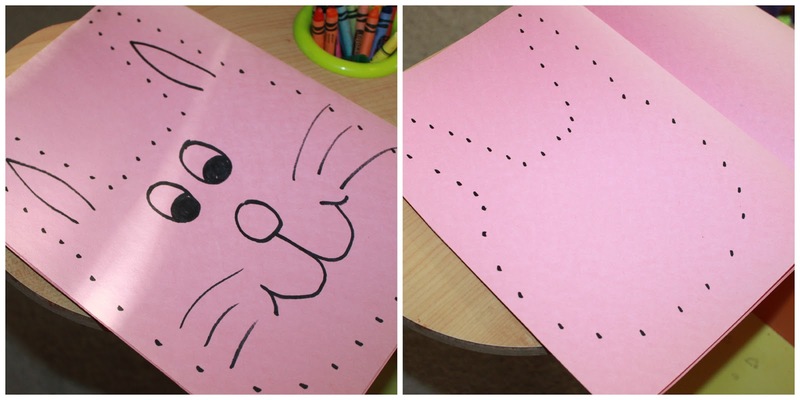 i just freehanded the outline of a bunny onto a piece of construction paper, but i'm sure you could find some clip art on line if you didn't feel comfortable drawing your own. my bunnies weren't perfect (in fact, at one point, libbi asked my why i was drawing cats) but hey, they got the job done. 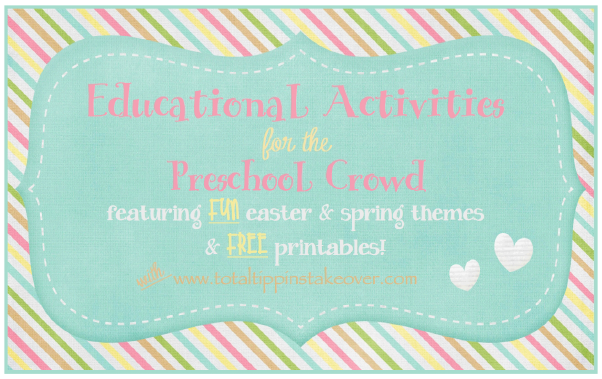 this was a pretty simple activity that didn't require much preparation or clean-up (sounds good to me!) 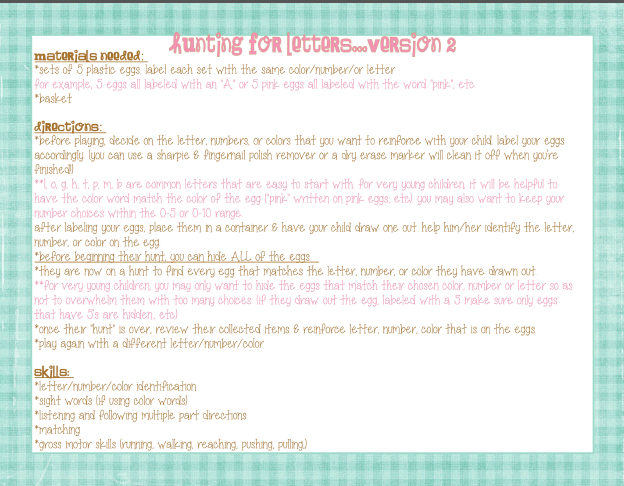 i had some old scrapbook paper in my craft closet, but you could use any type of paper for this - even solid colors! 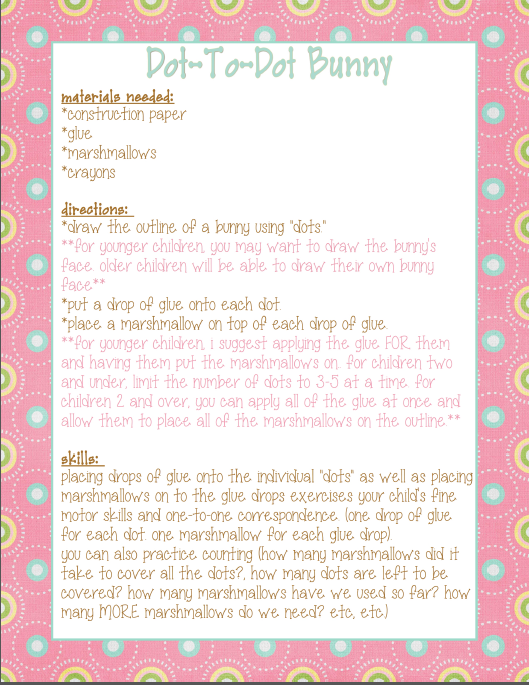 this activity has two different versions and many extensions and/or modifications if you so choose. 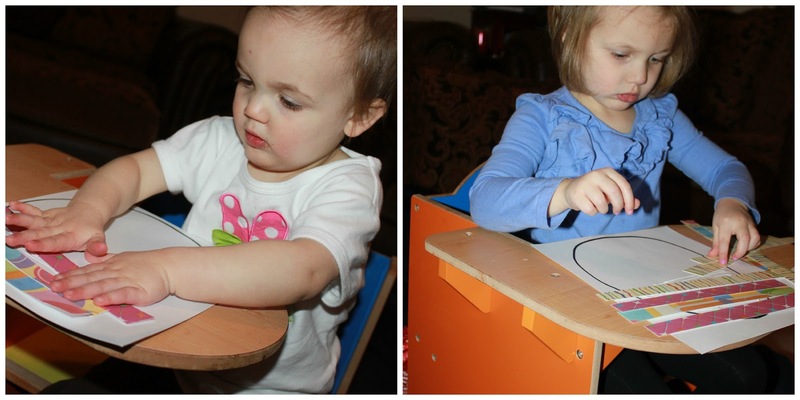 libbi (3.5yrs old) was able to do all of them and enjoyed even the "simple" version that i created for laney. 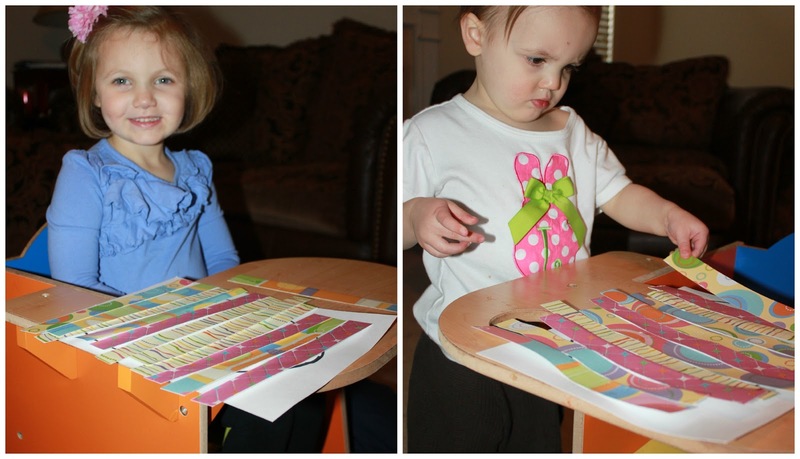 laney was mostly able to follow the directions for version 2 of hunting for letters with a bit of assistance. Hunting for Letters...version 1 is the more advanced activity. 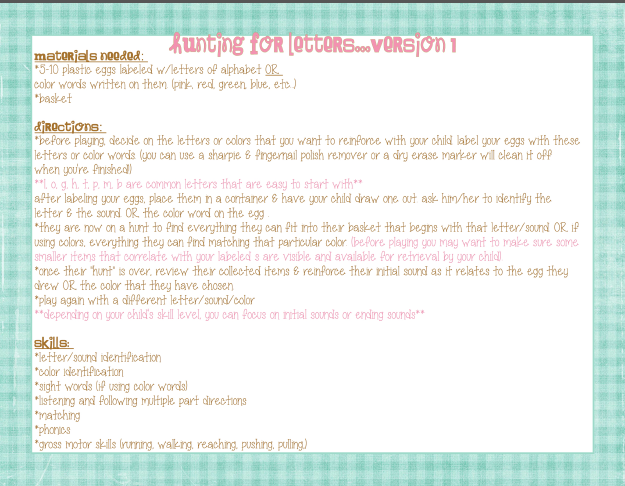 Hunting for Letters...version 2 is the modified activity for younger children or those that may need more assistance. 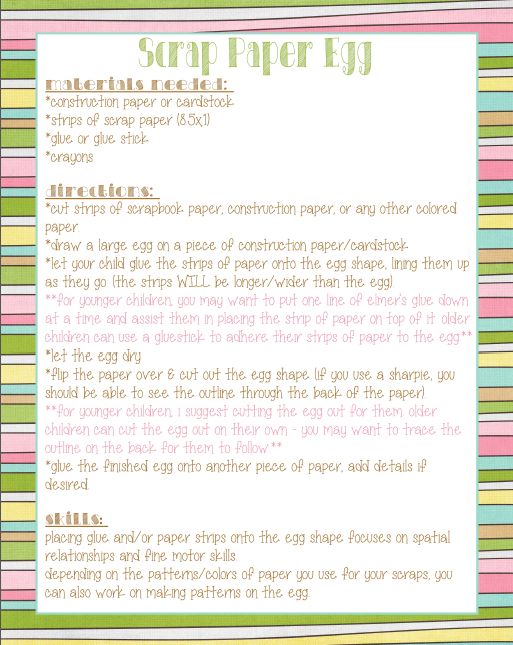 an example of eggs from "version 1"
an example of a collection from "version 1." 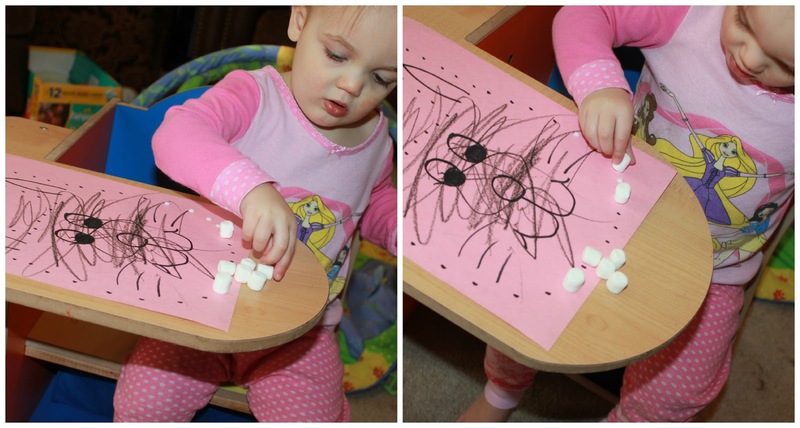 libbi drew the egg labeled "blue" so she found all blue things to collect in her basket. libbi chose the letter "P" so she collected mrs Pots, a Potato, a Plate, a slice of Pie, and a Pot. 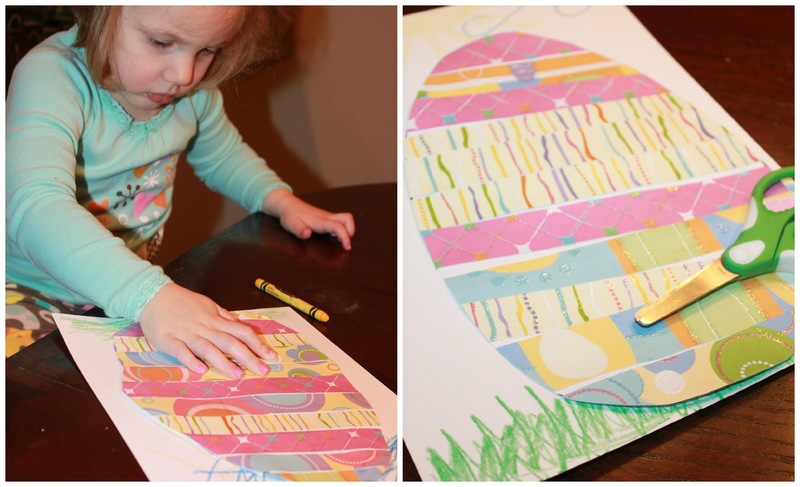 laney chose the color green so she found all the eggs labeled "green"
examples of eggs from "version 2"
*don't forget to order your easter placemats...click HERE for all the details. and TODAY is the last day to enter to win the $50 minted giveaway. click HERE to enter! !